Our Computerized Embroidery Machine range of product is best to apply embroidery on any type of cloth so as to make them beautiful and attractive. These machines are designed by our highly skilled designers with many advanced features. Payment can be done by any payment mode so as to provide convenience to the customers. 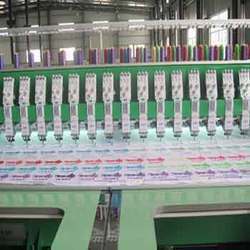 Sequin Embroidery Machine have advanced operating system to design unique embroidery patterns using colorful sequin and thread work. Our products are also available as per customer specifications. 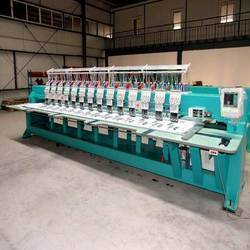 Flat Embroidery Machine is designed in a way so as to meet the need of distinct applications. We offer you a wide range of these product which are very easy to install. Cording Mixed Embroidery Machines are a new range of product so as to give a unique and elegant look to embroidery work. These products can be applied for fashion, toys, decoration etc. applied for fashion, toys, decoration, arts, curtain, etc. 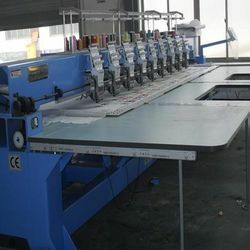 Computerized Embroidery Machine are manufactured for commercial embroidery industry. 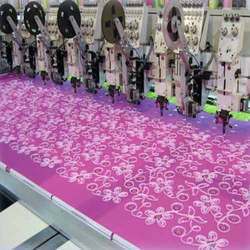 Our range of product is a preeminent machine for meeting the embroidery requirements of high fashion garments. Our Multi Head Embroidery Machine range of product is highly efficient and equipped with most advanced spare parts. . These products have been designed as per the international quality standards. 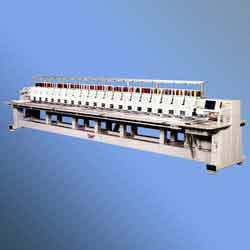 We manufacture and supply Innovation Chenille Embroidery Machines with advanced features. Our Chenille Embroidery Machines are designed by highly qualified skilled designers bearing in mind the convenience of users. 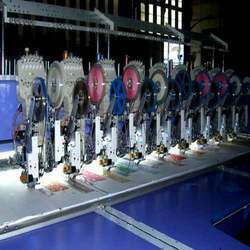 These machines are best for applying embroidery on all types of clothes that give them a wonderful look. We offer high quality Double Sequin Embroidery Machine at competitive price. 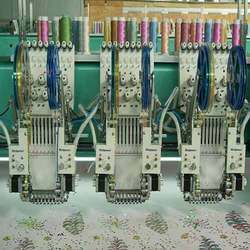 Equipped with advanced operating system, the machines are used for making embroidery patterns by the colorful sequin and embroidery threads. We can produce the embroidery machine according to customer's special requirement. Looking for Embroidery Machines ?